Customized orthotics can significantly decrease pain while improving your body’s natural mechanics. For most individuals, the greatest benefits to customized foot orthotics occur after a well executed treatment plan. Many individuals will rush into foot orthotics hoping for pain relief without thought into why the pain is occurring. Here at ICT Muscle & Joint Clinic, our initial gait (walking pattern) analysis for orthotics includes more detail and analysis than a typical orthotic fitting. Our evaluation process includes a detailed biomechanical stance and gait evaluation incorporating motion induced ink pedographs, palpation of restricted joints and tight tissue structures, foam castings, and most importantly a 360 degree video series assessing your walking mechanics! We are moving beings and must be assessed as such! The documentation and collection of all this is processed and applied to your personalized orthotics by our doctors of chiropractic! 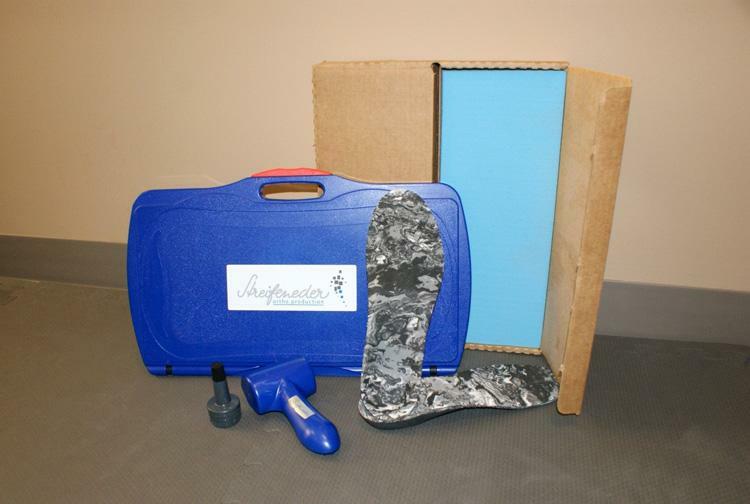 We are excited and proud to offer you these top-of-the-line custom foot orthotics! We utilize our partnership with Xtreme Footwerks in Idaho Springs, Colorado. Shawn Eno, founder of Xtreme Footwerks, is a highly sought after certified board pedorthist who incorporates your entire assessment into his moldings. Along with your chiropractic care, custom orthotics can make a drastic impact in alleviating foot, knee, hip, low back pain and dysfunctions. Are you ready to start living and moving well? Schedule your initial appointment with us today. If you are new to chiropractic treatment, it can be a bit intimidating as a new experience. We encourage you to check out our link below to learn what to expect at your first appointment.